Thinking of starting a dairy business or making some money out of cows you already own? 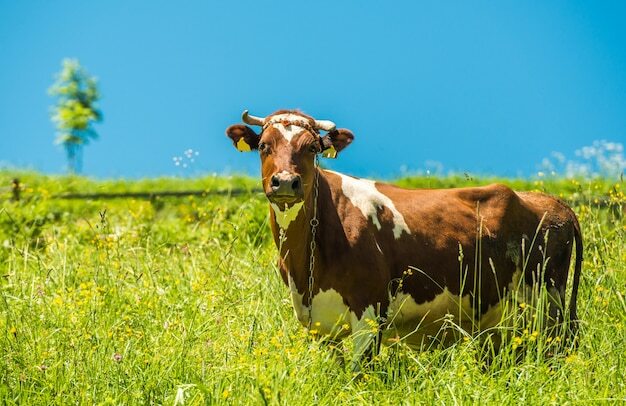 Here are 13 important tips that you should take into account when starting a dairy business. You will need to rear a breed of cow that is capable of producing sufficiently large quantities of milk. Holstein cows are an excellent breed for this purpose, their milk has a good constitution and makes a fine base for other milk products. Other breeds you could choose would include Jersey, Swiss, Brown. Even though you may have a wide scope of knowledge in dealing with cows and milking them, it is important to consult with industry experts when setting up a dairy business. Professionals you should speak with would include bankers, investors, nutritionists, agronomists, and educators. You should also speak with other dairy farmers who are running a successful dairy business and seek their advice. It helps to attend field days and exhibitions regarding farming and dairy where you can pick up a lot of useful information and speak to a lot of knowledgeable industry experts. Equity is an important factor in the success of any business especially in the food industry. The ‘herd first’ strategy is used by most dairy farmers attempting to start a dairy business. The idea is to grow the number of cattle you have before making fixed investments in land, equipment and buildings. This makes sense as those assets depreciate but cattle do not. Experts in the dairy industry inform that a dairy farm’s success will depend on the cow’s ability to live a healthy life in producing milk and bearing calves which grow to contribute to the herd. It is important to take care of your herd’s nutrition, comfort and reproduction health to ensure the highest productivity and health of your herd. How Will You House Your Cows? Tie Stall Barns- Each cow will have its own stall that is big enough to be comfortable with a bed of straw and water provided. Food is provided in the stall also. The stalls are designed for efficient cleaning and milking. 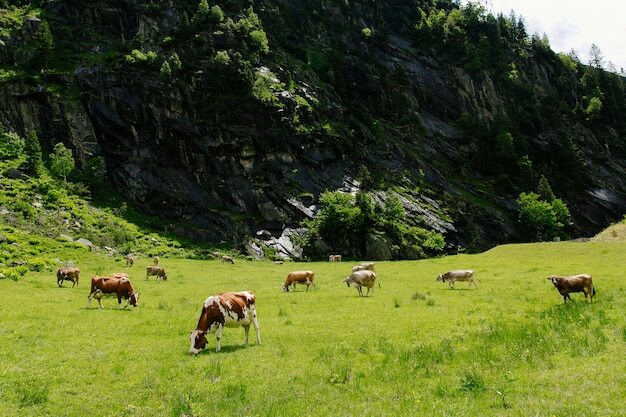 Open Lots- Your cows are able to graze freely in the outdoors. However you will need to provide housing in cold weather. Freestall Barns- This is a mixture of the two options above. Your herd will feed, rest and roam inside a barn and then will retire to individual stalls. The barn is used as a milking parlour. You should remember it is important to have designated spaces within barns for cows at different stages of the dairy process. There are several different types of milking parlours including walk through, rotary, and parallel. The herringbone design is popular, this is where the cows stand next to each other and the milking equipment is attached from behind. You may choose the type of parlour that suits you with your herd and facilities. What Will Your Herd Eat? For good quality milk production, dairy cows needs to eat large quantities of protien and carbohydrates. You need to expect each of your cows to consume an average of 29 kg of feed. This can include clover, alfalfa hay, ground oats, barley etc. You should add mineral and vitamin supplements to the feed. It is important that you know about the life cycle of dairy cows if you are going to run a dairy business. A cow must give birth to a calf in order to start producing milk. Cows are usually bred at the age of 15 months. You need to feed the calf individually while its mother joins the milking herd and continues to produce milk for about 10 months. Milk production ceases for two months preceding the birth of the next calf. Organic or Conventional Milk Production? These two types of milk production differ from one another largely. 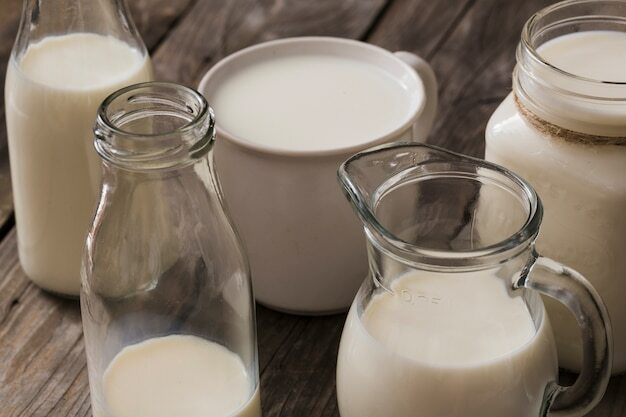 Organic milk is antibiotic-free, which means you cannot treat any of your cows with antibiotics if they fall ill. Also organic cows are fed on organic feed that doesn’t contain additives and is grown without pesticides. Organic dairy farming is more expensive to run however, people will pay more for organic milk than they will for conventional milk. Depending on which market you wish to sell to will determine which form of dairy milking you will choose to practice. Most hobby aviators hire out some space for their aircraft and that’s it. But this US airport allows your to hire out hangar space and live-in cabins above your aeroplane. The cabins allow tenants to spend weekend flying and working on their planes. For most aviators, it’s the perfect kind of getaway. To see our aircraft hangars, download a brochure. What’s the Difference Between an Aussie and an American Barn?